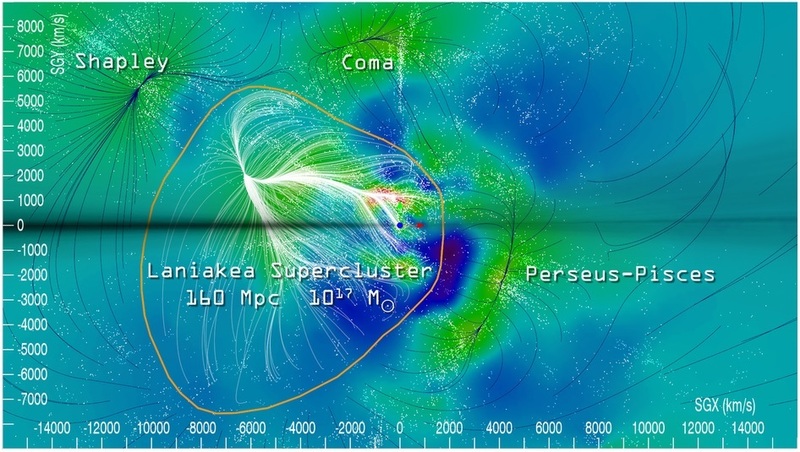 From NOVA: “BOSS Supercluster Is So Big It Could Rewrite Cosmological Theory” » Laniakea supercluster. From Nature The Laniakea supercluster of galaxies R. Brent Tully, Hélène Courtois, Yehuda Hoffman & Daniel Pomarède at http://www.nature.com/nature/journal/v513/n7516/full/nature13674.html. Milky Way is the red dot.